Product code: T572 Categories: Antique, Antique Rings. Mourning jewellery was a way to remember the passing of a loved one in an era prior to digital cameras and the like which allows us to take countless photos of people, and here is an exceptional quality antique mourning ring made in 1783. 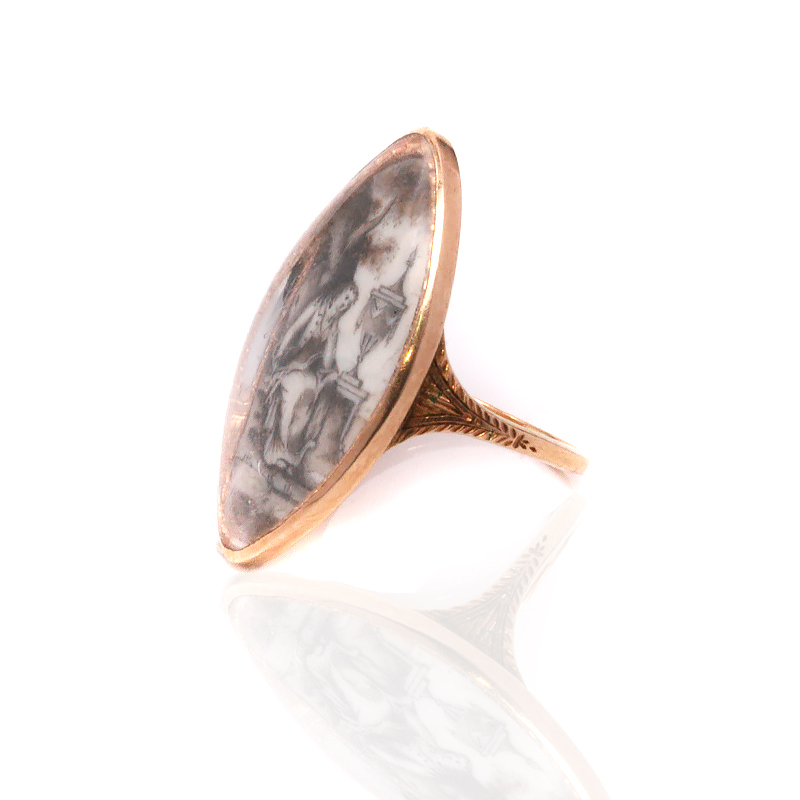 Made in the Georgian era, this antique mourning ring is made in rose gold in a wonderful lozenge shape that looks so elegant and regal on the finger and measures 15.6mm across by 28.6mm and has the most delightful engraved border. In the centre is a poignant hand painted image of a seated woman sitting next to an urn, with an oak tree in the background. The colour and tone of the image has that wonderful sepia tone and the image itself has been incredibly well protected by the rock crystal covering the top. 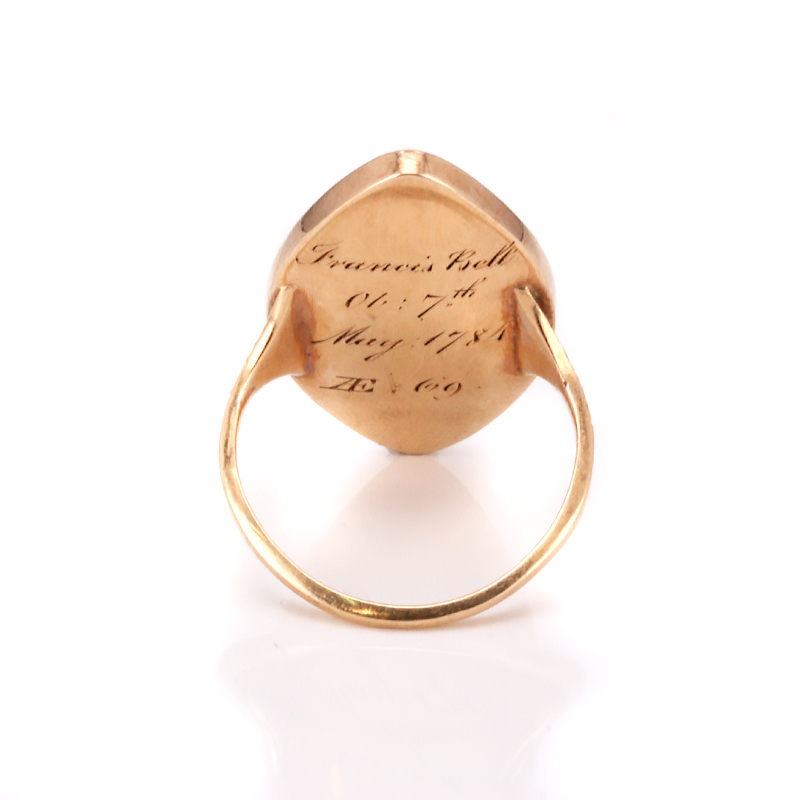 With engraved sides on the band, under the ring it is engraved “Francis Bell ob 7th May 1784” and when you consider that this ring is over 230 years old and still in incredible condition, it is a real testament to the quality of jewellery being produced centuries ago. 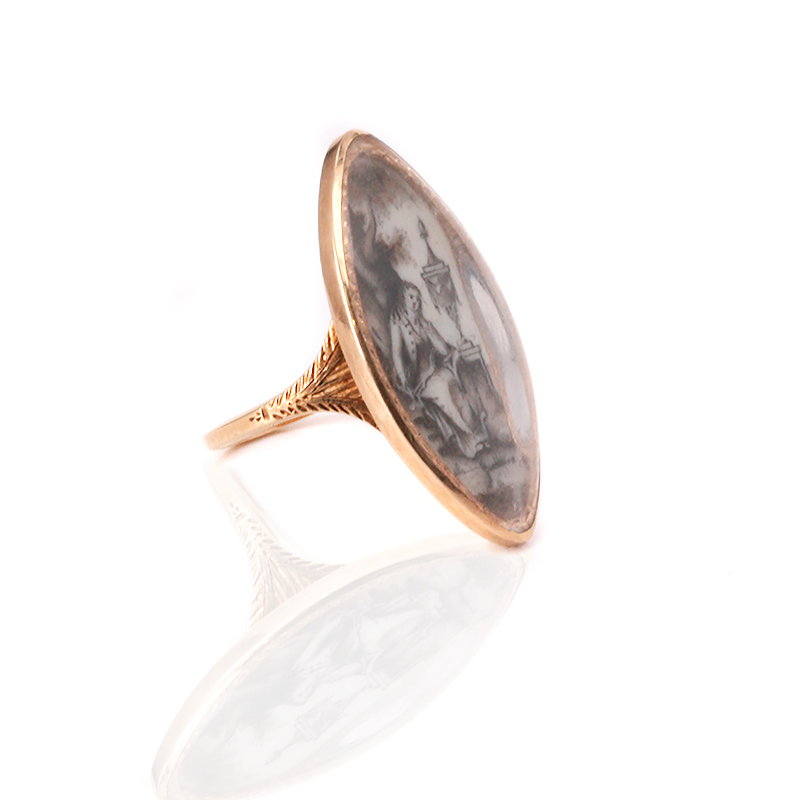 This is such a beautiful antique mourning ring for the lover of fine antiques.